and handwritten caption are similar to photos by Felix Bonfils (1831-1885). Solomon seemed to have had a lot of property around Jerusalem. 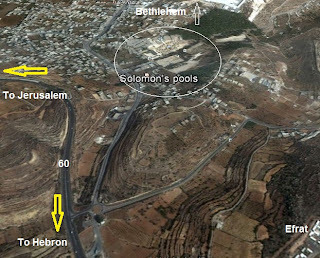 Solomon's Temple, of course, was located on the Temple Mount and was actually built by King Solomon. After its destruction at the hands of the Babylonians, it was covered by rubble, then two versions of the Second Jewish Temple, a Roman pagan shrine, a church and a Muslim shrine. Other than the First Temple, none of them had any real association with King Solomon. 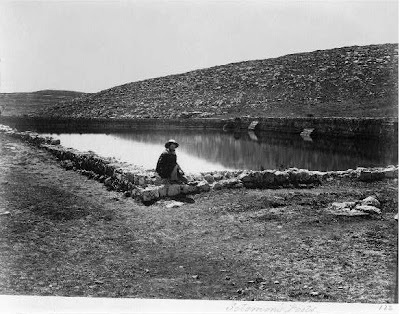 By the time of the Second Temple in the Hasmonean/Roman period, the man-made reservoirs at "Solomon's Pools" south of Jerusalem were vital for providing water for the burgeoning population of Jerusalem and the many tens of thousands who made pilgrimages to Jerusalem on festivals. 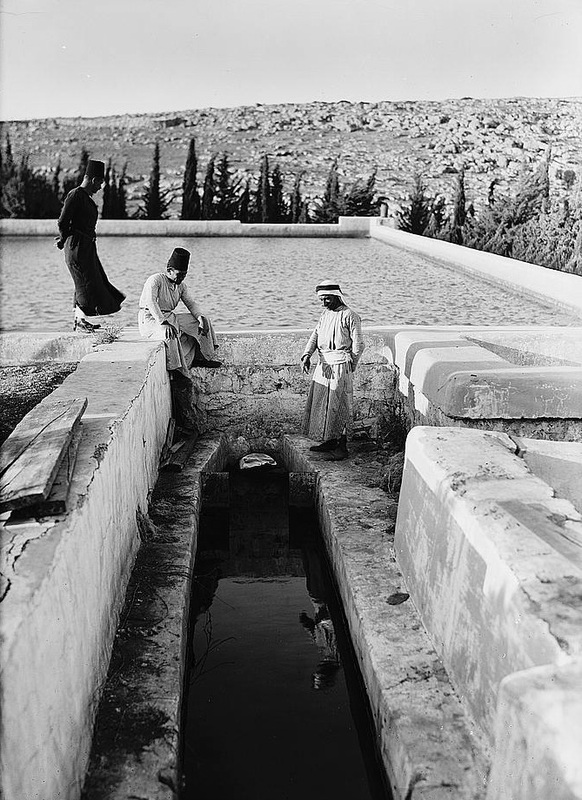 The local springs and cisterns in Jerusalem could not possibly provide enough water for all their needs as well as for the sacrificial service and hygiene required in the Temple and the city. The springs to the south could provide a bountiful supply despite their location some 30-40 kilometers away, but a massive engineering project of aqueducts was required to convey the water from near what is today Efrat, south of Bethlehem. 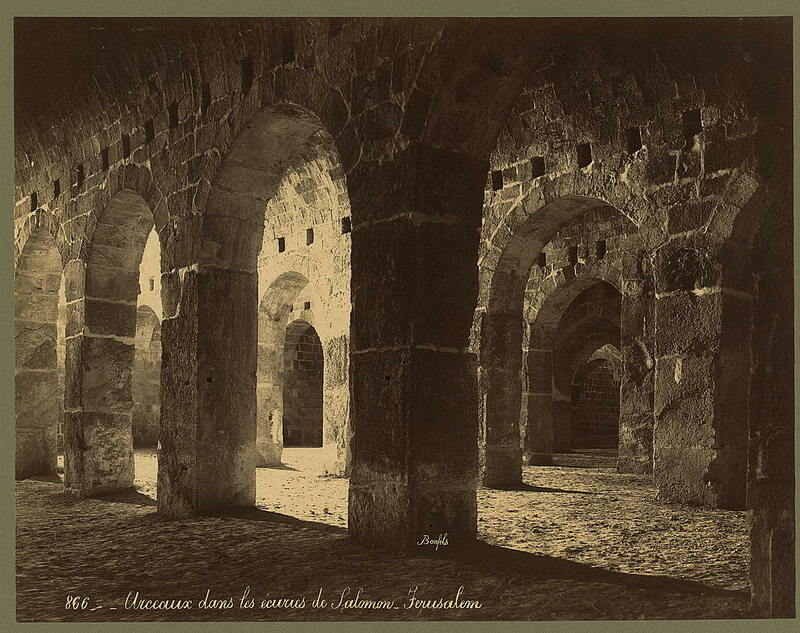 The water flowed from pools slightly higher than Jerusalem through the many kilometers of aqueduct built with a relatively tiny 0.08 degree angle of decline! 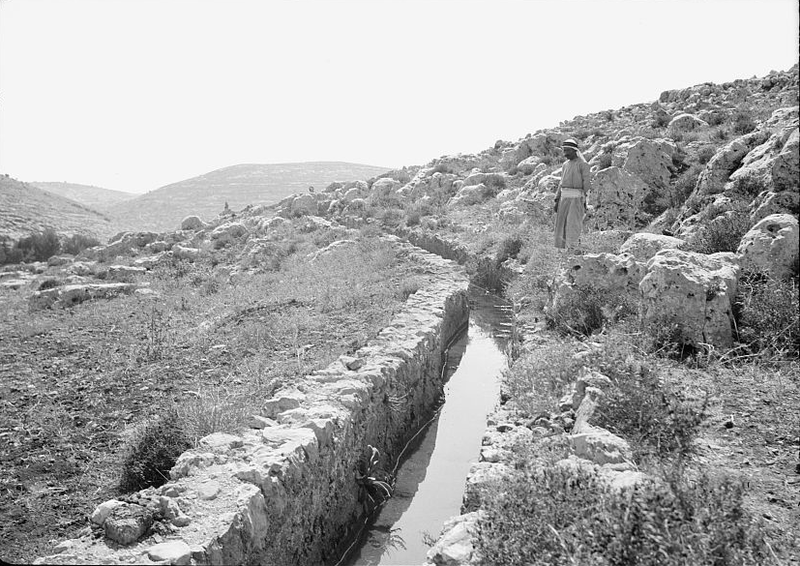 The water aqueduct system begins some 10 km south of Solomon's Pools at the Arrub Spring, and included a collection pool at the Biyar Spring west of Efrat. From there the water in the aqueduct flowed north to the first of the pools 4.7 kilometers. 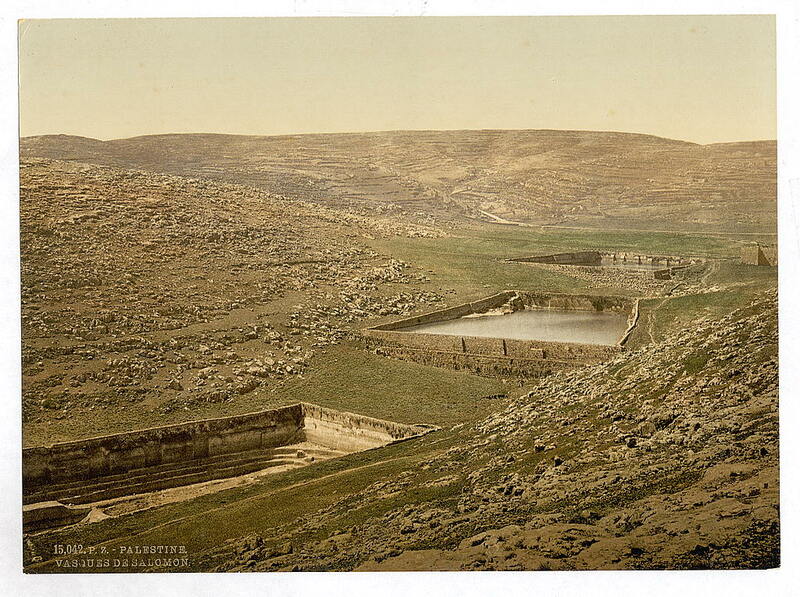 The pools are massive reservoirs built to hold water from the south and the Eitam spring to the east. The largest is 177 meters long, 60 meters wide, and 15 meters deep. Parts of the ancient aqueduct system are still visible.